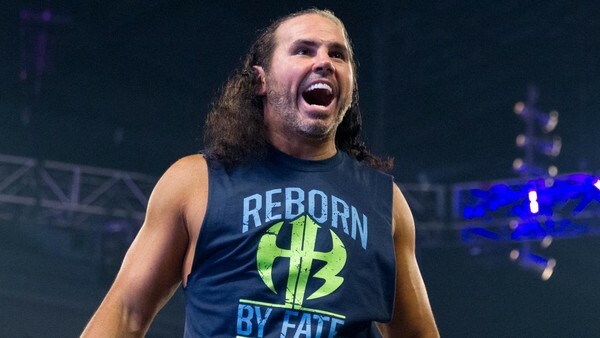 Matt Hardy Cleared For WWE Return? Matt Hardy hasn't been seen on mainline WWE programming since the 13 August 2018 episode of Raw, when he and Bray Wyatt were defeated by The Revival. The injury-plagued star was announced to be taking some time off to heal longstanding back and pelvis issues, and there was even talk that he was on the verge of retirement (fuelled by Hardy's own social media posts), though this was rubbished a few months later. This will be encouraging news for Hardy's fans, though reports that his back and pelvis had started fusing together provoked widespread concern last summer. Matt's absence has left (former?) partner Wyatt in limbo too. 'The Eater Of Worlds' hasn't wrestled on TV since Hardy left, and has dipped in and out of the house show circuit, making only intermittent appearances throughout 2018's remainder. If WWE is to put them back together, Wyatt's return may be as imminent as Matt's.